The Directors Guild of America (DGA) has named Taiwan director Yang Chieh (楊婕) as the Best Asian American Student Filmmaker of the US East Region for her work on "Tail End of the Year (年尾巴)." The honor from the 2018 DGA Student Film Awards came on Dec. 5, shortly after Yang received the Student Grant Award from the US National Board of Review. The DGA Student Film Awards are designed to honor and encourage outstanding minority and female film students. Previous winners of the awards include Jon M. Chu, Taiwanese-American director of the blockbuster "Crazy Rich Asians," and Ryan Coogler, African-American director of the superhero movie "Black Panther." Yang, who is from Taiwan, is pursuing a master's degree in screenwriting and directing at Columbia University in New York, and was previously a student at the Golden Horse Film Academy. She wrote and produced the 15-minute film "Ping Pong Coach (乒乓)," which captured the Student Visionary Award at the 2016 Tribeca Film Festival. 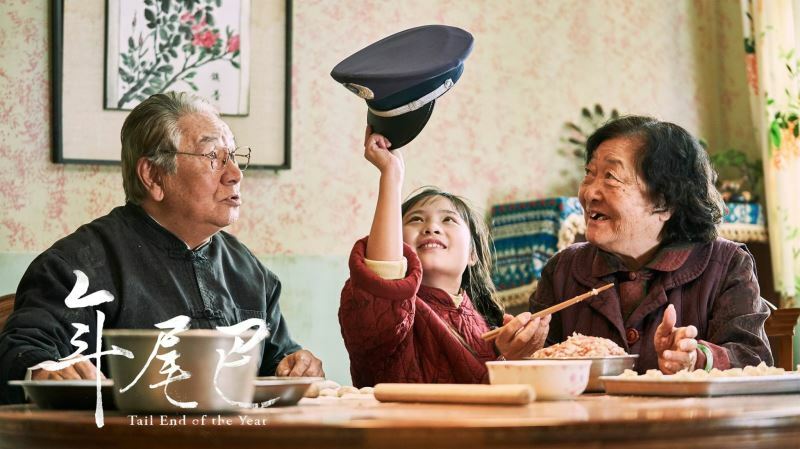 "Tail End of the Year" is about a Taiwanese family in a military dependents’ village in 1988. It's a story about one little girl's Lunar New Year's Eve. The outstanding quality of the screenplay and the acting earned it the recognition from the Directors Guild of America. What's more, Taiwan actress Hsieh Ying-xuan (謝盈萱), who recently won the Golden Horse Award for Best Leading Actress for her portrayal of an angry, jilted widow in “Dear EX (誰先愛上他的),” plays the character Da-Niang in Yang's short. "Tail End of the Year" also means the end of childhood. It is based on Yang's own experiences, and she hopes to pass on the love for family through this film. Explaining why she had made the film, Yang said: "Lunar New Year Eve is the most magical night of the year to me; it's the death of the old year and also the birth of a new year. The boundary between life and death has interested me since I was a kid." "But one day I found that my family wouldn't spend Chinese New Year together anymore," she continued. "Preparing sumptuous food and dishes for the Lunar New Year became going to a restaurant, or going abroad during the vacation or holidays, and I couldn't even find any grocery stores that had firecrackers. Those things made me realize how far away childhood is." Held 24 times since 1995, the competitive DGA Student Film Awards honors and encourages African-American, Asian-American, Latino, and female filmmakers and brings attention to their outstanding productions. The 2018 awards ceremony will be held at the Directors Guild of America Theater in New York on the evening of Dec. 7. Visitors Today:99. All Time Visitors:1,229,906.